Hey folks, I'm Jason Rohrer, and I've been working on One Hour One Life for more than three years. 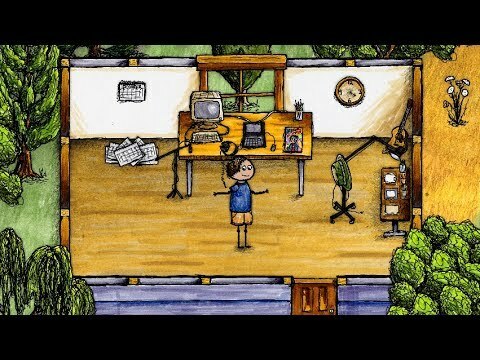 I've been doing everything myself---I drew all the graphics on paper with pens and markers, I coded the entire engine from scratch, I composed and performed all of the music, and I even made all of the sound effects. It's a very personal game, and it's really unlike anything else that's out there. 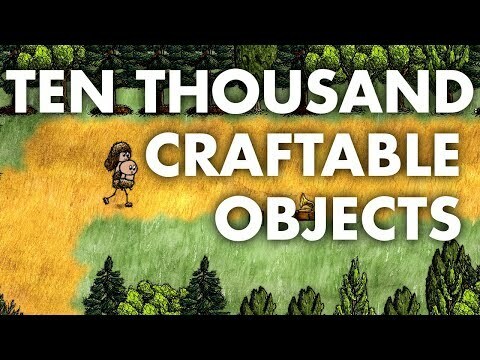 It's also a huge game---over 1100 fully interactive, craftable objects already. And it's only getting bigger, with weekly updates adding new things all the time. The game was initially released on my own website in February of 2018, and over the intervening months, I released 29 updates off-Steam. I've promised to keep releasing weekly update for at least the next two years, with the end goal of making the largest, most comprehensive crafting game in history. Okay, so what about the game itself? First of all, you only live for an hour, where each minute marks a passing year. You join the game server as a newborn baby, and some other randomly-chosen player is your mother. You depend on her for your survival. And why will she be willing to waste her valuable time and resources to keep you alive? Because she's going to die in an hour just like everyone else, and if she wants what she accomplishes in her lifetime to have any meaning, then the next generation (aka, you) is her only hope. And if you survive into adulthood, you may get the chance to have babies of your own---other players, just joining the server---and those babies will be the next generation that gives meaning to your own life accomplishments. But as real-life history has shown, civilization is fragile. A generation that is born into the lap of luxury---on the backs of their ancestors' hard-won accomplishments---can just as easily squander their inheritance as build upon it. Key resources run out over time, so careful management, planning, and organization are necessary to prevent an inevitable collapse. Thus, the game graduates from the individual challenge of primitive survival in the early stages to a group organizational and leadership challenge in the later stages. How do rules and procedures for group survival propagate across multiple generations? What did our great grandparents have in mind for this village? The main mode in the game involves being born as a helpless baby to another player as your mother, but you can also play with your friends as twins, triplets, or quadruplets. One baby is hard enough to take care of---any mother that can successfully take care of quadruplets deserves the eternal gratitude of you and your friends. I hope you'll join us as this sprawling civilization-building experiment continues to unfold. Many thousands of players have already collectively lived over 400,000 hours in this endlessly-changing world so far. Before the Steam release, the average playtime for each player was 17 hours, with dozens of players logging over 500 hours each, and 94% positive off-Steam player reviews. This is a deep and rich game already, and there are still hundreds of content updates to come.